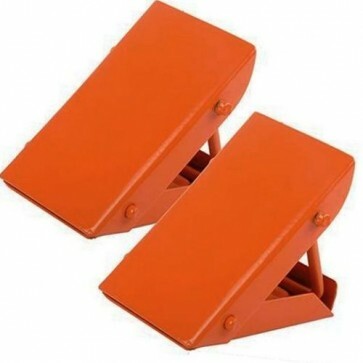 Brand New Pair of Folding Steel Wheel Chocks for Vehicles Highly visible, bright orange wheel chocks made from heavy duty steel. Prevents vehicle from moving. Use with cars, caravans and light trucks.